I can also see where an ADHDer and an OCDer might run into trouble due to a lack of understanding. Let’s say an ADHDer and an OCDer are working on a project together. An OCDer might be very driven to get all the details in order at the beginning and an ADHDer might be very driven by the bigger picture, taking off in a million different directions. If the two are stubborn enough (which ADHDers and OCDers definitely can be), the differences could really slow the project down. 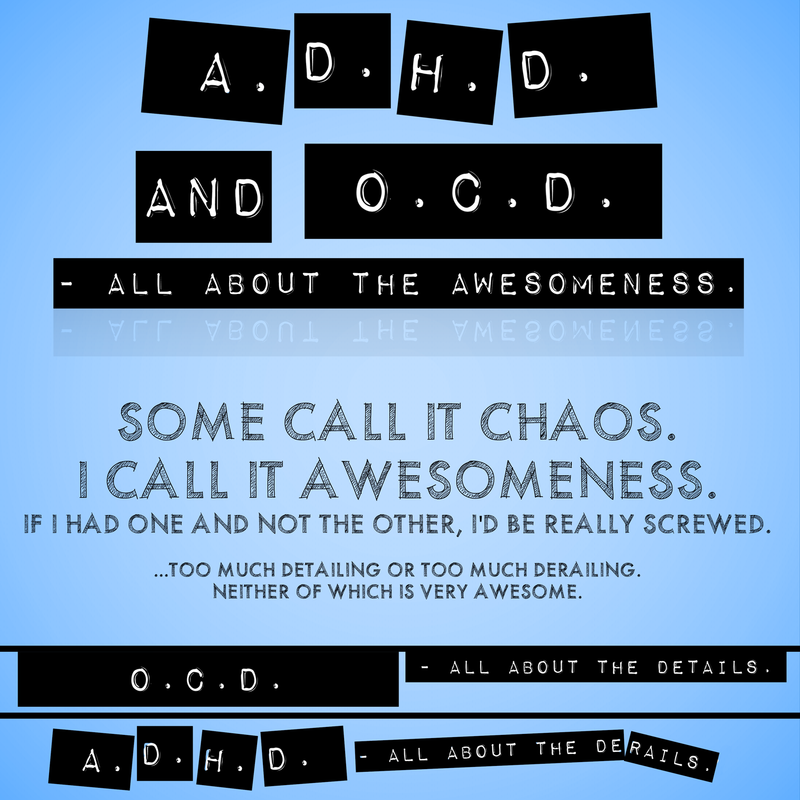 So, yeah, ADHD and OCD can clash, but I digress. The point of this particular post is that sometimes the two can actually compliment each other and do really awesome things. Case and point? My obsession with creative t-shirt designs. My OCD obsesses over the details, but these designs would be nowhere without the ADHD derails and creativity. You gotta find a way to laugh at yourself…especially if you’re going to the midnight premiere and can’t get through the books. You just gotta look for the positive, ya know? Love this post.. it hits home for me. Glad you like it…and glad you can relate. Are you OCD, too?